How to get targeted traffic for your website? 5 Key Things! Website traffic is something every blogger wants, right? I am yet to see a blogger who would say “I don’t want website traffic” or “the traffic I get is enough”. It is because traffic is the life blood of a website – without traffic, without real human visitors, you cannot expect to achieve the desired results. Be it newsletter subscription, product sales, social shares, comments, page views – whatever – without people coming to your website, you cannot expect any of this to happen. Web traffic conversion – people who visit your website should actually perform your desired tasks rather than simply leaving! Targeted website traffic – the right kind of people should visit your website so it will be easier for you to “convert” them. The term “targeted traffic” plays a vital role here. In fact it gives meaning and purpose to all your blogging efforts, plus it makes conversion easy! So what is targeted website traffic? If you open a shop in a busy area in a city, you can expect really good number of visitors every day to your shop. It is because your shop is located in a busy area in a city. If you have made the basic arrangements right – like having a well lit, clean building with all the necessary stuff, getting traffic should not be a challenging thing. But are the people (traffic) who visit your site interested in the stuff you sell at your shiny shop? That is the million dollar question here! If they are not interested, all you will get is un-targeted traffic. You will still pay the rent for your shop, pay electricity bill to keep your shop well-lit, do all the necessary things to keep your shop shiny. You will spend money to keep your shop “shiny” and functioning even if you get loads of visitors who aren’t buying anything from your shop. So literally you are spending money for nothing. You could boast that your shop gets flooded by people every day – but that is not something worth all your efforts, right? If your website is getting thousands of visitors every day but if you can’t get the desired results with your traffic, your traffic is just costing you money. 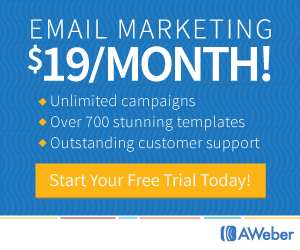 You pay for hosting, you pay for those software (SEO, list building, etc. ), you write blog posts day in and day out, you do social media marketing, and all that stuff – basically you spend BOTH time and money on your website. But if the traffic you are getting is not the “right” kind or the “targeted” kind, then you are literally wasting your time and money on your blog! Targeted website traffic is so very important! 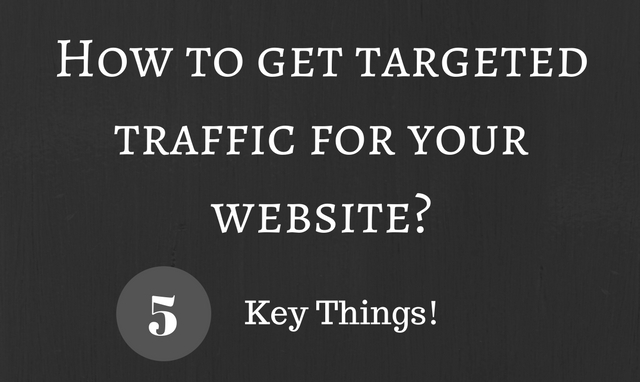 Let’s see some of the “key” elements that you need to focus on if you want to get targeted traffic to your website! This point seems so obvious, but I am not pretty sure why most bloggers ignore it just like that. I see bloggers working really hard on content creation, promotion, SEO, list building etc. But they don’t start off with something that they really need to start with. Your blogging journey should start with identifying what you want with your blog and who your business is going to serve. If you are going to create and sell products, you have to know precisely to whom you are selling. Is it working moms, or people working in IT companies seeking to lose weight, or women planning their second pregnancy, or cancer patients undergoing chemotherapy – you have to be really specific. You cannot write a blog for “women” or “men” or even more “humans” and expect to do some serious business. If you don’t know your target audience, you can’t serve them well – that’s pretty much straightforward, isn’t? 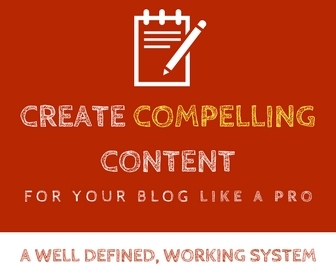 Your blog content, services, products etc. will be useful to your target customers, only if you know them who they are and what they want. 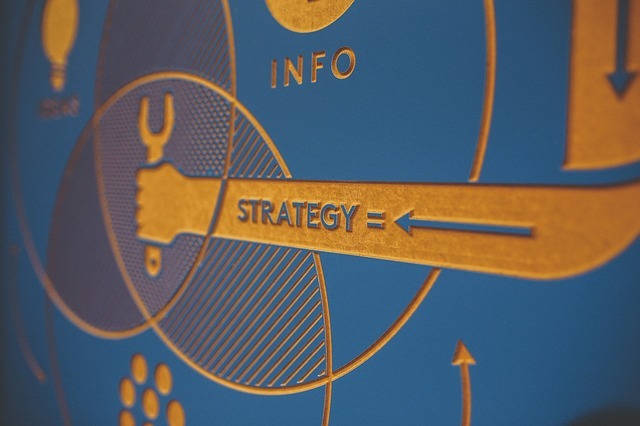 If you are blogging for a hobby you don’t need a strategy. You can pretty much publish anything you want and anytime that is convenient for you. But if you are doing it as a business, you have to follow a strategy. There should be a strategy for everything you do. You cannot publish random posts on all topics under the sun. There has to be a content marketing strategy. You cannot blindly collect email addresses from people and send them random emails. There has to be an email marketing strategy. You cannot create products on any topic. There has to be a product creation strategy. You cannot be wasting time on all social media platforms and blogging communities to promote your website. There has to be a promotion strategy and a social media strategy. Now, the word “strategy” might scare you! You don’t have to have a big chart with complicated flow chart diagrams in it. How will you know if your strategies work? You have to closely follow the numbers. Traffic numbers, subscriber numbers, conversion numbers, and the like. I said numbers because most of the progress is quantified by numbers. But you can also follow other signals if you prefer. The key here is to be able to identify what works and what doesn’t so you can improve and change your strategies as you progress. You can only make your strategies effective and work for you, if you closely monitor what works and improvise. Having said that don’t obsess on the numbers. You have to keep and eye on the stats, do some analysis on a regular basis – but also do make sure you take the necessary action to improvise your strategies. Remember, only actions will get you results. Looking at those numbers will help you learn about your progress. But if you want actual progress, you have to take the necessary actions! You put a lot of effort into your blogging, right? Why not leverage your efforts? A simple way to leverage your content marketing efforts is to publish your blog content in places other than your own blog! For instance, you could create a Powerpoint presentation with the key points in your blog post and upload it to Slideshare. You could create a talking head video or use the Powerpoint you created to do a screencast with your voice in it and upload it to Youtube. You could create a graphic with the key points and pin it on Pinterest. You could create PDF of the blog post and upload it to sites like Scribd, Authostream and the like! You certainly invest time and efforts to pick a topic, do the research and create a useful blog post! Why stop using it in your blog alone while you could publish the same idea/concept/content elsewhere and attract the audience hanging out there too? Do you want to get targeted website traffic? Of course you do, right? Targeted web traffic is something very special. If you don’t get the “right” kind of traffic, it is better that you don’t get any traffic at all. In this post, I’ve covered the basic “key” elements that are crucial to getting targeted website traffic. I’ve not listed practical ways or methods here – but rather I’ve covered the basic elements that you can use and implement as strategies. Of course, you can bring in many of the practical tips into these strategies! Good luck with getting targeted website traffic! Love this post! Especially the part about following the numbers. I have to teach every client that one, no matter how long they’ve been blogging.